Go vote for Proposition 1. Today’s the culmination of basically 15 months of work to improve the health of our families and neighbors in every part of Travis County. 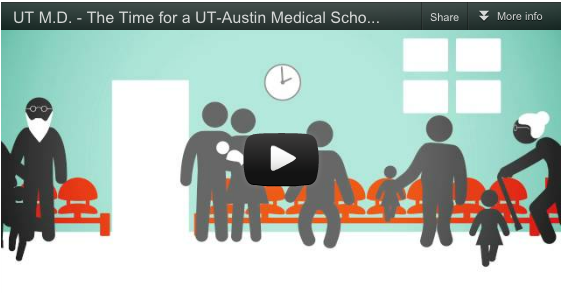 We’ll decide today how big a step we want to take toward better health care in our community. If you haven’t already voted, it’s vitally important that you get out to a polling station and help us take this step. One great thing this year is that you can vote at any Travis County polling place, not just the one in your neighborhood. Here’s a list and a map of polling placesthat are open today. One thing I keep thinking about is how proud I am of what we’ve already accomplished over the past year.Since my speech last September that sort of kicked off this effort, it’s just been fun to lead on this critical issue. I say all the time how much I enjoy being the Senator representing this part of Texas, but I’ve especially enjoyed working on something that’s so important to Austin’s future. And what a group to work with. I’ve been involved in some big projects that included some big coalitions, but never anything as diverse and community-minded as the group that formed around Proposition 1 – business people and social service groups, Republicans and Democrats, medical groups and service organizations … the support seemed to come from almost everywhere. That’s been more than just a gratifying experience. It shows how much consensus we have in this community on the need to take big steps to improve health care for all of our neighbors. And this coalition will be vital over the coming days and weeks as we continue to work on this issue. Just by going through this process, we’ve laid the groundwork for new health care services that will transform the way the poor and uninsured are treated, helping folks to stay healthy and avoid expensive emergency room visits that taxpayers end up paying for. We’ve also nailed down the need for a new public hospital to replace UMC-Brackenridge, and we’ve received a tentative commitment from the Seton Healthcare Family to provide at least $250 million for it – and to build it without taxpayer money. 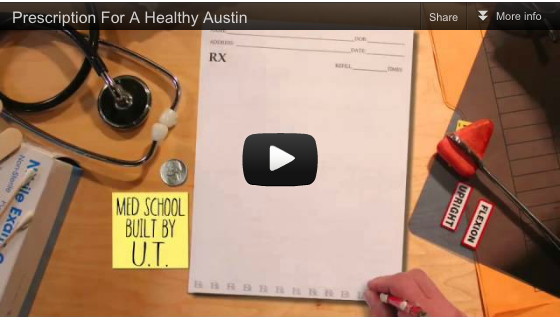 And after so many years of talking about a medical school in Austin, we’ve identified what it will take to create one. All of these things, just by themselves, are huge steps forward. Go vote. And vote for Proposition 1.